Imagine your life as a thermostat. Instead of a gauge of temperature, the numbers on the tube represent your age through your full-time working years. Fluid rising close to the top of a thermostat means we’re pretty uncomfortable. Likewise, a high mark on our “age-o-stat” means danger for the financially unprepared. We tend not to worry about the heat of summer in the middle of winter. For young workers, hopes of career attainment tend to overshadow concerns about retirement. Yet this is the time, before getting bogged down by the expenses of later life, that the dividends from a 401(k) or IRA will be the greatest. If you have children approaching this age, urge them to start saving early. It only gets hotter from here. The 40 tick on our age-o-stat feels about double that in degrees Fahrenheit. Here the unprepared begin to sweat. You’re approaching peak earning years, but you didn’t foresee all the increased expense that comes with providing for a family. Food and clothing, health insurance and seeding a College Savings 529 plan adds up. It is easy to focus on your kids at the expense of retirement, but you must keep the long view in mind; saving for retirement now helps spare your children from the burden of supporting you financially later. 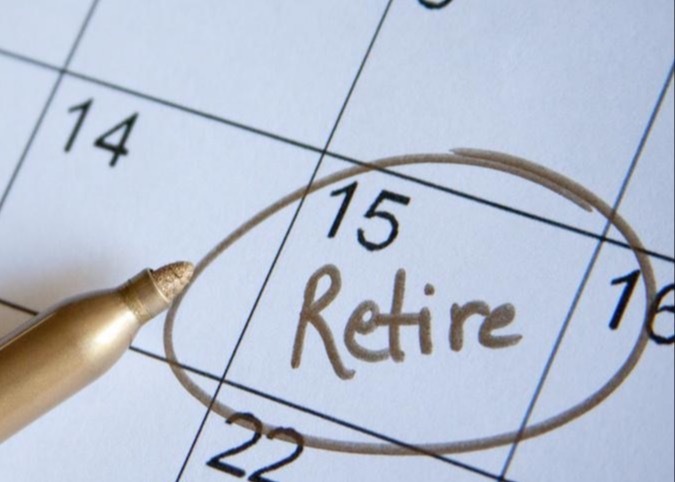 If you haven’t yet, planning for retirement now is an urgent priority. The age-o-stat is bursting. Even given your professional success, the turnaround from padding investment capital to withdrawing dividends will cause heatstroke for the unprepared. You must consider how much investment risk you’re willing to take on to maintain your current lifestyle. Potential losses could force you to push back retirement for several years or lower your standard of living considerably. Hopefully you set a goal early and calculated how much you needed to put away each month to reach your goal. You may not have followed the plan perfectly, but you’re miles ahead of where you would have been otherwise. The work of checking the market against predictions and making course corrections as needed is far less stressful than pre-planning. If you have yet to make a plan, fretting will not help. Talk to a financial advisor to get a sense of where you really are. At Lifeguard Wealth, our passion is helping you take control of your financial situation, so that together we can protect what matters most to you. It’s never too early, but it’s not too late either. There is always help for those willing to ask for it.